2018 | Kenya, Germany | NR | 74 min. Prepare to be moved and inspired by the most unexpected superhero movie you will see all summer. Jo is just like any other nine-year-old: she adores her family, loves to play, and daydreams about being a superhero. But unlike the other kids in her Kenyan village, Jo is stricken by a terminal illness and on strict orders to rest. When her older sister, Mwix, recognizes that Jo’s fiery spirit is also at risk, she begins to play into Jo’s greatest fantasy—that she does indeed have super powers—and despite her mother’s worries, soon the whole village is helping make Jo’s dream come true. 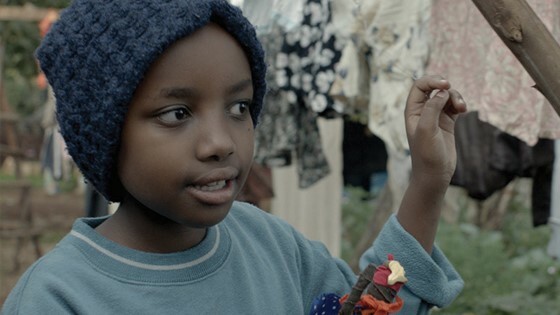 With stunning cinematography and an incredible performance by youngster Stycie Waweru, this debut feature by writer/director Likarion Wainaina is a genuine, heart-tugging drama about the strongest superpowers of all: imagination and love.